Honoring the healing powers of Nature and plant medicine, Aromatic herbs, wrapped in cotton cloth are delicately steamed and massaged into areas of tension, release natural essential oils directly into the body as aromatherapeutic steam eases deep tensions held in the mind and spirit. Combining the effects of a soothing hot bath, herbal tea, restorative yoga and massage into one healing experience. 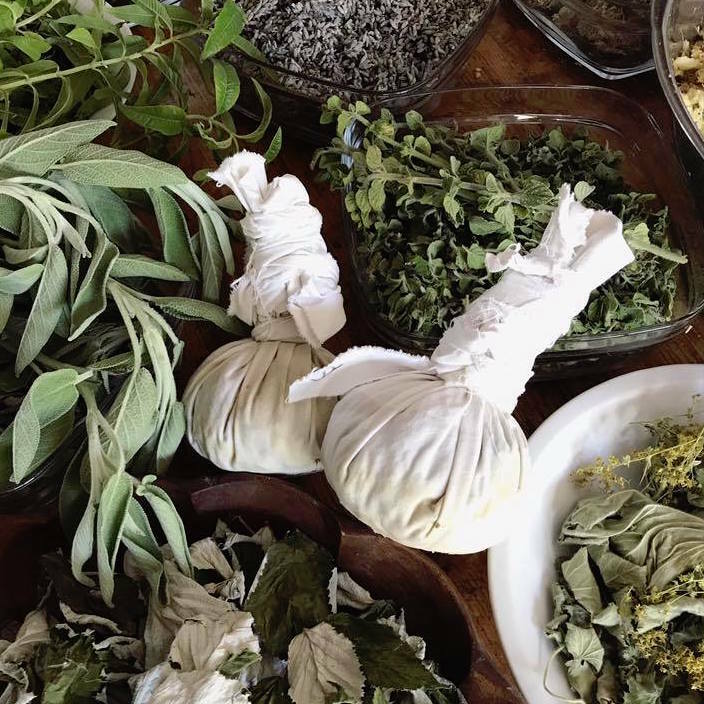 Warmth from the steamed herbs allows the body to naturally open and soften absorbing the plants medicinal properties. 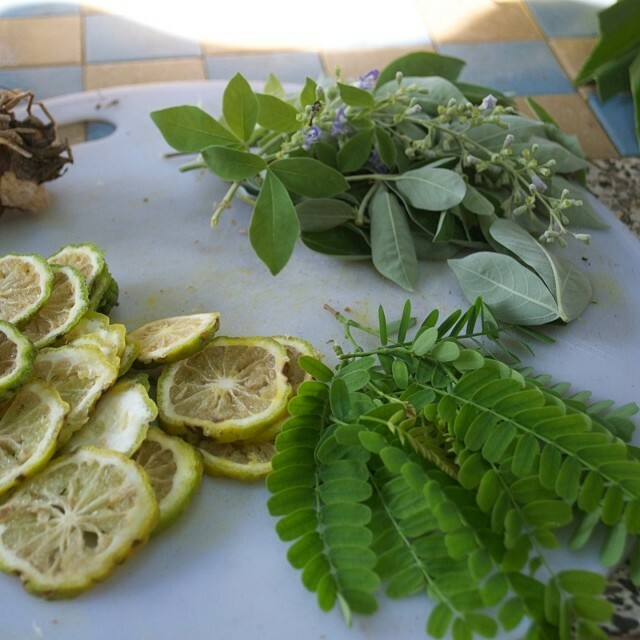 A selection of fresh herbs and wild medicinals (many of which I grow or wild forage) are combined with traditional plant medicine gathered on my travels through South East Asia.